But it is a very good way to become extremely wealthy over the course of your life. 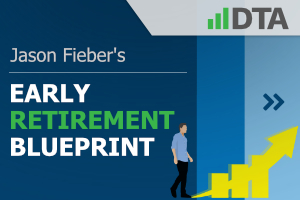 I’ve taken advantage of numerous global megatrends on my way to going from below broke at 27 years old to financially free at 33, as described in my Early Retirement Blueprint. And now I’m personally invested in dozens of high-quality companies that cater to these massive trends by providing the products and/or services necessary to facilitate global growth. I even show you exactly what that looks like for me via my FIRE Fund. 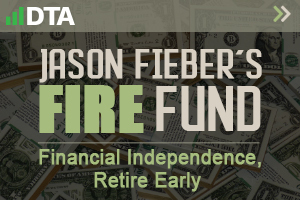 It generates five-figure and growing passive dividend income. Enough to cover my essential expenses in life. I’m financially free in my 30s. Investing in these megatrends has helped me achieve this financial position. And investing in this manner can help you achieve your financial goals, too. I believe the best way to accomplish this is to buy high-quality dividend growth stocks. Dividend growth investing is a phenomenal long-term investment strategy. It simply involves buying equity in wonderful businesses that are sharing their growing profit with their shareholders, via regularly increasing cash dividend payments. 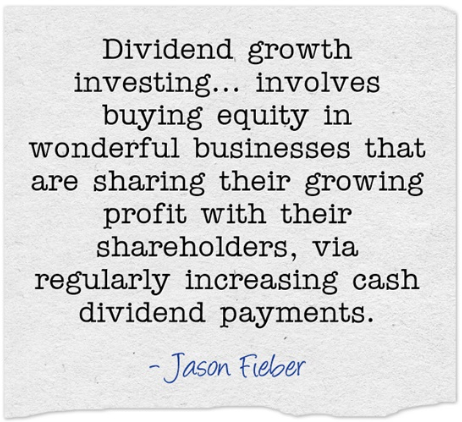 Regularly increasing cash dividends provides an element of proof of the growing profit necessary to sustain those payments. You can’t have the former without the latter. Not for long. By its very nature, dividend growth investing helps an investor avoid low-quality companies that can’t produce growing profit. And any company that’s taking advantage of megatrends should be making a lot of money. Dividend growth investing means you’re usually fishing in some of the richest business waters in the world. You can see what I mean by checking out the Dividend Champions, Contenders, and Challengers list. It contains invaluable information on more than 800 US-listed stocks. These stocks have raised their dividends for at least the last five consecutive years. Some have paid rising dividends for decades. Blue-chip stocks are featured all over that list. For good reason. However, as great as this strategy is, you can’t blindly go into it. An intelligent, long-term investor performs due diligence in order to maximize return and minimize risk. Fundamental analysis, judging competitive advantages, weighing risk, and valuing a stock are extremely important steps to take before a dollar is ever invested. The valuation component is particularly important. An undervalued dividend growth stock should offer the investor a higher yield, greater long-term total return potential, and reduced risk. This is relative to what the same stock might otherwise present if it’s fairly valued or overvalued. A higher yield goes on to positively impact total return because total return is comprised of investment income and capital gain. The former is given a boost right away, leading to greater long-term total return potential. Capital gain is also given a possible leg up via the “upside” that exists between a lower price paid and higher intrinsic value. The stock market isn’t always great at accurately pricing stocks in the short term. This is what leads to undervaluation in the first place. Capitalizing on a temporary mispricing can lead to a lot of upside capital gain. That’s on top of whatever organic capital gain will play out as a business naturally becomes worth more over time (as it increases its profit). This should also reduce risk. That’s a buffer. A protection mechanism. It creates a cushion of sorts that shields the investor against unnecessary losses in case value drops due to unforeseen events. Any number of unforeseen events can occur over time. An investor should always be vigilant by seeking a margin of safety. Fortunately, intrinsic value isn’t extremely difficult to estimate. Fellow contributor Dave Van Knapp put together an excellent template on valuation. It can be applied to almost any dividend growth stock out there. Part of an overarching series of articles on dividend growth investing, Lesson 11: Valuation does a deep dive into valuation. United Parcel Service, Inc. (UPS) is the world’s largest parcel delivery company, using more than 500 planes and 100,000 vehicles to deliver millions of packages to residences and businesses worldwide. Fiscal year 2017 revenue broke down via the following three segments: US Domestic Package, 62%; International Package, 20%; and Supply Chain & Freight, 18%. I started off by talking about global megatrends. Well, folks, UPS is behind one of the biggest of them all. I’m talking about the move to a more digital world focused on e-commerce. E-commerce means more packages are moving to and fro. Instead of centralized shipments, it’s individuals placing orders and receiving products by shipment. There are these “micro transactions” occurring when people place individual orders on products. This is very different from the old retail model where people would go to a large store and buy a lot of products in one fell swoop. This means more business for the companies that deliver packages. It’s fairly obvious. A successful investor doesn’t need to be prescient. But they do have to recognize these things and then take action in an advantageous manner. Well, UPS is about as advantageous as it gets when it comes to getting a piece of the growing e-commerce pie and the increased shipments it inevitably means. That’s due to their size and scale, backed by decades of building out the infrastructure necessary for this business model. This scale and infrastructure provides the business with enviable competitive advantages, as the barriers to entry are quite high. And it positions the company perfectly to take on more packages and continue to scale up. This naturally also positions the company’s dividend, and their ability to grow that dividend, very well. UPS has paid an increasing dividend for nine consecutive years. The five-year dividend growth rate stands at an inflation-beating 7.8%. With a payout ratio of 58.2%, there’s plenty of room for future dividend increases. The most recent dividend increase was almost 10%. So there’s no slowdown. If anything, dividend growth is accelerating. And that growth comes on top of a yield of 3.72%. This is a market-beating yield that’s approximately 80 basis points higher than the stock’s five-year average. It’s also much higher than the closest competition. High yield, strong growth, and a moderate payout ratio. It’s checking all the boxes. So we’ll now build out some future expectations regarding the company’s profit growth, which should more or less translate to dividend growth. This information will also greatly aid us when the time comes to value the stock. We’ll first look at what UPS has done over the last decade (using that as a proxy for the long term). Then we’ll compare that to a near-term professional forecast. UPS grew its revenue from $51.486 billion in FY 2008 to $65.872 billion in FY 2017. That’s a compound annual growth rate of 2.78%. Not terribly impressive top-line growth. However, we have to keep in mind the start of this period coincided with the Great Recession. This was one of the worst economic disasters we’ve ever seen. A broad business risk that UPS faces is any kind of major economic slowdown. That would naturally lead to less purchasing and shipping of goods in general. The good news is that the bottom line fared better over this stretch. Earnings per share increased from $2.94 to $5.61, which is a CAGR of 7.44%. That spread was helped by buybacks. A ~14% reduction in the outstanding share count helped generate some excess bottom-line growth. This number is consistent with dividend growth over the last decade, too. I think that shows prudence on the part of management. These numbers are good. I’d even argue they’re borderline great when considering the time period we’re talking about and the company’s exposure to the engine of the global economy. Moving forward, CFRA is forecasting that UPS will compound its EPS at an annual rate of 12% over the next three years. I’d say that’s an awfully aggressive forecast. There’s evidence that the global economy is slowing. While more recent EPS growth from UPS has been strong, I don’t personally see UPS growing at 12% annually. CFRA is modeling in the recent tax reform, continued share buybacks, infrastructure spending/benefits, and volume growth from online fulfillment. These are all catalysts. Again, though, the global economy does appear to be cooling off. Still, UPS doesn’t need to grow at 12% annually in order to be an excellent investment that can produce strong annual dividend raises. And when you’re starting with that relatively high yield, UPS can continue to hand out those 7%+ increases and make everyone a lot of money. Assuming a static valuation, the sum of yield and dividend growth should equal total return. So this is setting investors up for 10%+ annual returns, with just the status quo. Outside of a significant valuation compression, there’s room for a lot of upside surprise. Moving over to the balance sheet, there’s more evidence of a rock-solid business. While the numbers would at first indicate issues, that’s only because of the way certain numbers are structured. For instance, the long-term debt/equity ratio is 19.69. That’s extremely high. Ordinarily, I would be very concerned. However, the ratio is high only because of low common equity. The interest coverage ratio, at over 16, shows us a much clearer picture of the company’s ability to handle its leverage. That’s actually a rather excellent number for a capital-intensive business like this. Robust profitability continues the theme. Over the last five years, UPS has averaged annual net margin of 6.90% and annual return on equity of 259.34% over the last five years. The ROE isn’t really insightful due to low common equity. But the margins are great for this industry, comparing very well to the nearest competitor in FedEx Corporation (FDX). I look at it like this: UPS is the largest company in what’s essentially an international duopoly (with the aforementioned FedEx). This duopoly is unlikely to change anytime soon. The barriers to entry are extremely high. It’s almost impossible to start a global shipping company from scratch, which further entrenches the existing players. Other than some kind of massive technological disruption (like drone deliveries, which could theoretically lower barriers to entry), there’s nothing to indicate that UPS won’t continue to prosper. UPS has the scale, infrastructure, and experience that would be very difficult to replicate. These competitive advantages offer the company an economic moat. A lower tax rate, volume growth from e-commerce, and continued buybacks (especially at this valuation) should help the business continue to grow, which bodes well for more dividend increases. Of course, a prolonged global economic slowdown could harm UPS. And any irrational pricing war with competitors is also a possible risk. Regulation, litigation, and competition are risks with any business. But the valuation is awfully compelling here after the stock dropped ~25% over the last year. The stock is trading hands for a P/E ratio of 15.67. That lines up pretty well against the five-year average P/E ratio of 24.8 on the stock, but that average was impacted by wild fluctuations in the P/E ratio (due to GAAP EPS impacts). Nonetheless, it compares very favorably to the broader market. And the P/CF ratio, at 13.1 is substantially lower than the stock’s three-year average P/CF ratio of 19.7. That’s a “fair” look at the valuation that hasn’t been impacted by GAAP adjustments. Moreover, the yield, as noted earlier, is markedly higher than its recent historical average. The stock looks quite cheap. But how cheap? What would a rational estimate of intrinsic value look like? That DGR is in line with the long-term demonstrated dividend and EPS growth rate. I actually think it’s cautious. The most recent dividend increase was well over this number. And the CFRA forecast (although aggressive) would imply much more to come. But I’d rather err on the side of caution, especially in light of recent concern regarding the global economy. The DDM analysis gives me a fair value of $156.62. I don’t believe I was being aggressive with my valuation, yet the number I come up with is materially higher than the price of the stock today. Morningstar rates UPS as a 4-star stock, with a fair value estimate of $113.00. CFRA rates UPS as a 5-star “STRONG BUY”, with a 12-month target price of $155.00. I was right in line with CFRA. Averaging out the three numbers gives us a final valuation of $141.54, which would indicate the stock is potentially 45% undervalued. Bottom line: United Parcel Service, Inc. (UPS) is a high-quality company and the largest player in a global duopoly. Numerous competitive advantages and several catalysts are positioning the business extremely well for the future. A market-beating yield, accelerating growth, and the possibility that shares are 45% undervalued means dividend growth investors should strongly consider delivering this stock into their portfolios. Note from DTA: How safe is UPS’s dividend? We ran the stock through Simply Safe Dividends, and as we go to press, its Dividend Safety Score is 74. Dividend Safety Scores range from 0 to 100. A score of 50 is average, 75 or higher is excellent, and 25 or lower is weak. With this in mind, UPS’s dividend appears safe with a very unlikely risk of being cut. Learn more about Dividend Safety Scores here.